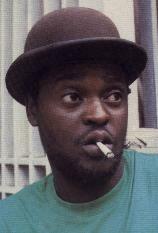 Veteran dancehall/reggae singer, producer Lincoln Barrington Minott aka ‘Sugar Minott’ has passed at age 54. He died on Saturday July 10th cause of death is yet unknown however speculations are he died from a heart condition. Two months ago, Minott had canceled performances in Canada after suffering severe chest pains later doctors would diagnose that it was Angina Pectoris – a severe heart condition. In the late 1960s a young Minott stared his musical career as a member of the African Brothers reggae trio. However in the 1970s he started his successful solo career while recording for Studio One he gave us hits such as Vanity and Mr. DC. In 1981, he had his biggest hit with a cover of the Jackson Five's "Good Thing Going," which reached No. 4 in the United Kingdom's singles chart in March of that year. Over the years Minott played an integral role in the career development of many neophytes to the dancehall/reggae fraternity with his own Black Roots record label and Youthman Promotion Company. Reggae and dancehall artists such as Junior Reid and Tenor Saw began their careers under his tutelage. A new Album from Minott, "New Day," is scheduled to be released in coming weeks. Funeral arrangements have not yet been made.